To everyone here and those behind the scenes, I personally and on behalf of Debetrek want to thank you! 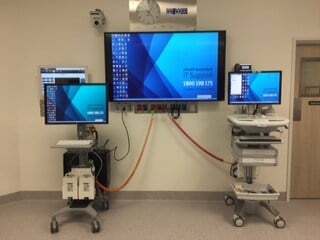 The Sunshine Coast University Hospital went live this week, the hospital is now on its way to be fully operational by next month. You can learn more about the hospital here. Its been an exciting journey with its challenges along the way and we couldn’t of achieved it without the help and support from our partners in the Scott-Clark team! 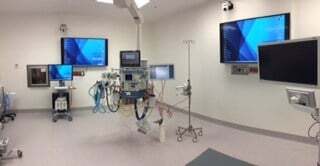 These photos were taken just a few hours before the first operation in these theatres. 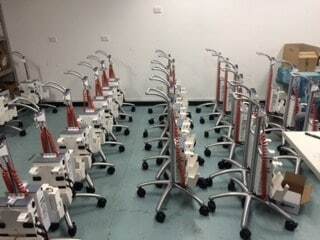 The equipment we have supplied is essential to the clinicians working in these theatres. 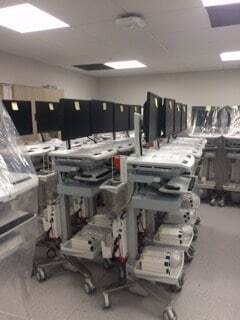 The computers Scott Clark will be powering are high resolution Medical imaging machines that will display images from X-ray, ultrasound ect on several displays positioned in the theatre. 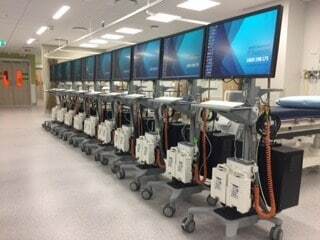 This was not an out of the box solution and many hours were spent to get this unit to where it is today. It looks fantastic! 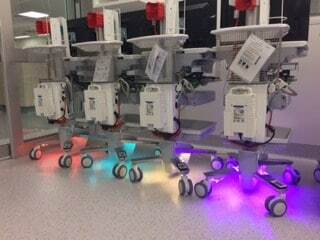 The carts with the LED lights were for the children’s Ward! We had a bit of fun there. Roll stands for charging stations. Thank you Team, this was a successful project for all of us and rounded up a fantastic 2016. To learn how Scott-Clark Medical can help your hospital… why don’t you get in touch with us!